677 Prime has received our readers’ Bestie for appetizer, as well as decadent dessert. You have a wonderful selection to start off your evening—lobster dumplings, steak tartare made tableside, surf and turf tempura roll, Kobe hotrock and more. Great New York bagels, freshly made every day. That in itself draws return customers. Add to it all the usual and unusual bagel and topping choices and a cool laid-back atmosphere and it’s no wonder Psychedelicatessen is the Bestie for bagels. I’ll have the cannoli; no, maybe the sfogliatella. I’ll have both. Whether you’re seeking these or an array of other authentic Italian baked goods or perhaps muffins, danish, doughnuts or other treats, our readers point to Bella Napoli, family owned since its founding in 1957. The much-recognized Bar-B-QSA offers “a taste tour of American barbeque.” Try the NY State Fair Chicken; get a southern sense with North Carolina Pulled Pork; think west with the Memphis City Ribs or Texas Beef Brisket; or try the Pacific Northwest Smoked Salmon. And a lot more finger lickin’ good choices. Serious beer, great food, says Brown’s and our readers raise their glasses and forks. An out-of-town visitor tells us she was asking for recommendations and was directed to Brown’s for its wide selection. Brown’s has at least 10 fresh ales and lagers on draught on any day. Some folks stop in after work; others make it a couples or family go-to place. They give thumbs up for the ribs, soups and more, the homey atmosphere and friendly bar crowd. Our readers say the secret is out and it’s Otis and Oliver’s. There is nothing like a tasty Bloody Mary to go with a fine brunch and Creo’ delivers. Whether at brunch or another time, our readers name Creo’ as the Bestie for Bloody Marys. There may be some difference of opinion as to how the word “bistro” came into use but there’s a sense that it’s a comfortable restaurant. Our readers feel right at home at New World Bistro and delight in tasting the innovative, delicious often locally sourced, creations from Chef Ric Orlando and staff. How lucky we are to have Perreca’s in our backyard, with the family making the same hard-crusted bread with the nutty flavor that has been the favorite of customers for more than a century. Of course, Perreca’s is our readers’ bread Bestie. When is breakfast at Alexis? Anytime you’d like it! Perhaps you’d like eggs made all kinds of ways with all kinds of accompaniments. Maybe a breakfast sandwich, burrito or something off the griddle. They’re ready to start your day—no matter when that is. Extra moist vanilla, tangy lemon, sweet strawberry, toasted almond—just a few of the choices for your Coccadott’s cake. Then pick the frosting, custard, mousse or fruit fillings. Whether you are seeking a tiered wedding creation or round or sheet cake, our readers recommend this as the Bestie. When it comes to calamari, you want the right stuff. Not everybody can fill that order. Café Capriccio more than can! Not only that, its calamari neri pasta is designated a Café classic. Or perhaps you’ve tried antipasto that includes calamari, or the calamari with potatoes and olive/pepper tapanade. “The cheesecake recipe is vital, but the execution of the recipe is equally important,” says Blue Ribbon. Indeed, those are the ingredients that make Blue Ribbon a consistent winner in this category. Take a look at the list of cheesecakes—apple caramel, cookies ‘n cream, Kahlúa, cherry almond, pistachio, and many more. Wing your way over to the Towne Tavern to check out the lip-smackin’ chicken wings that have been slow turned in the smoker and then deep fried. You can have them with a sauce your way—Mild, Medium, Hot, Maple Bourbon, Garlic Parm, Kansas City, S. Carolina, Spicy Bacon Ranch, Buffalo Garlic Parm, Hoisin-sesame, Spicy Jack Daniels and Heiss und Scharf, Lemon Pepper Tequila, Honey Chipotle, Caribbean Jerk, Inside Out. Capital Region residents are serious about their chili and our readers tell us that Otis and Oliver’s delivers some serious chili. Available in cooler weather only, so for now we can dream. Looking for that certain New England clam chowder? Our readers tell us that Reel Seafood Co. is the place. With classic bacon and chives. You can choose a cup to go with your sandwich, too. Golden Harvest has 25 varieties of apples, cider mill and a bakery that makes the most of these resources. Bite into one of the orchard’s cider doughnuts and it’s almost like you picked this sweet treat directly from the tree. Variety is always on the menu, The Cookie Factory reminds us. Making your selections is one of the challenges. But, as our readers would advise, that just means you’ll have to go back to try more kinds. Choose the crispy chicken and fluffy waffles with the maple biscuit and you’ll receive more than comfort, our readers tell us. It’s simply heavenly. And then there are the chicken pieces—juicy, flavorful. And don’t forget the combo dinners or country-fried steak. The sides, such as the sweet potato salad, are yum. Before you pop that Sweet Sue’s cupcake into your mouth, take one more look. It’s a mini work of art. And yum—an exquisitely tasty treat. You’ll find pictures of some of these and other sweets in the gallery section of Sweet Sue’s web site. A fun laid-back atmosphere with mason jar lighting, trendy décor, attentive staff, craft beer, signature jar drinks, creative food and often a live music venue are among the ingredients that have made The Hollow a Bestie. Near Capital Rep and the Palace, it’s a convenient place for theater-goers but popular on its own. This popular deli in our Bestie poll deserves its reputation as a regional landmark. For more than 6 decades, Gershon’s has been serving hot pastrami and other old-world favorites and overstuffed sandwiches. Try the delicious soups and salads, too. Meet you at Gershon’s. Save room because even the dessert names and descriptions tantalize the tastebuds: including caramelized bananas flambéed table side, a warm cookie cart; big big chocolate cake, colossal crème brulée, orange blossom ricotta cheese cake, and a confection called The Titanic. Alexis, offers more than 300 menu items, from the meat lover’s skillet, to a healthy wrap, to specials, at this popular family diner with an on-premises bakery. See you there for breakfast, lunch and dinner. The 24-hour Latham ’76 Diner is tagged as the place where “good friends meet to eat well.” Check out the beef and bean chili served over made-to-order Russet Red potato chips, a veggie gyro, a Cuban Deluxe sandwich, slow-roasted prime rib, or Greek favorites. This seasonal location at Burden Lake is known for its pizza made from a family recipe from the 1950s. With a menu also including pasta, sandwiches, subs, seafood and more, Kay’s is a Bestie of our readers as the place to go to dine on a budget. Philoxenia. Enter a stranger, leave as a friend has been the saying at Athos. Cited for its great Greek cuisine but our readers equally appreciate that this family-owned restaurant whips up a warm batch of hospitality for its customers. Lake Ridge is our readers’ fine dining gem and we know why. Enjoy the wonderful wines, scotches and bourbons and more at the mahogany bar or at your table. Select from the New American cuisine—steaks, seafood, pastas and specials. Not fast food but fresh food fast is the Ted’s Fish Fry motto. The sign is so familiar to Capital Region residents that our cars pull in almost automatically to one of the six locations for the lightly breaded and fried fish fry, with your choice of sauce that’s been developed over 60 years of service. We’ll have the fish ‘n chips, at the Olde English Pub and Pantry, of course, said our readers. It’s beer-battered cod with house-made slaw and chips. Cut potatoes that are normally deep-fried but could also be cooked in an oven is the dictionary explanation of a French fries. How it should read is: The Merry Monk’s perfectly sliced and expertly cooked spears of heaven on a plate. Seasonal draft beers with $2 discounts during happy hour, great wines and a cocktail list that is inspired. All this makes Creo’ a happy place to be at happy hour! Gus’s is has become a tradition for Capital Region residents, many visiting since childhood. Mini-dogs and dogs with the works are m-m-m good. Add the friendly service and a fun atmosphere and you’ll have a smile on your face. The Snowman was born in the early 1950s, serving only first-class homemade ice cream from the beginning that is still being made on its premises daily. A summer night in Troy has to include a line at Snowman and so worth standing in it! Jumpin Jack’s was built in 1952 and popular from the start. Today, it is a must-do with family. A nice warm night, kids in tow and just great food and ice cream. Now that is living! Huge menu alert—you may not be able to decide what to eat. The food is wonderful and available at all hours. After an evening of fun, there is no better place to nosh into the wee hours. A few years ago, we would not have had a category called Lobster Mac & Cheese, but now this delectable and decadent dish is done in many restaurants. Our readers feel Gingerman creates and serves the area’s best! As soon as I am off a never-ending diet, I am heading there. A perennial favorite of our readers in the Bestie Poll, Brown’s continues to outdo itself with its brews. Brown’s Brewing Company’s Troy and Walloomsac taprooms feature at least 10 dependably fresh ales and lagers on draught on any given day. Appropriately and simply named after their styles, the handcrafted standards are renowned for their freshness, character and taste. Savory crepes, sandwiches, soups and salads are all part of the wonderful choices served at the Whistling Kettle. In either location, you can always count on a cozy atmosphere and a quality mid-day meal. High tea is served, too, and wow, what a great meal. House Margaritas are sublime but the Mexican Connection also has a Gold Margarita, a Reposado Margarita, a Strawberry Margarita that goes down very easy, and this writer’s personal favorite the Mango Margarita. Mango is good for you so this is a healthy margarita—correct? Either way, this honor of Bestie in the Margarita category is very well deserved. When you have the look and feel of The Standard, of course you need to have good martinis and that it does! In the special martini menu with many great choices, my favorite of the Besties Best Martini winner is the Buzz Aldrin. You will be flying high with any of these fantastic selections. Canali’s has been providing customers with wonderful cuisine at its Rotterdam location for over 67 years and the food keeps getting better when, honestly, you would not guess it could. 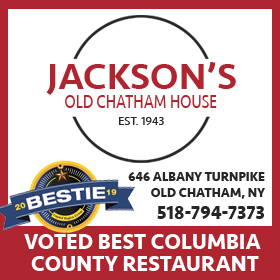 It is truly one of the most outstanding restaurants in—wait for it—the country, not just the Capital Region. Lindsey’s Country Store and Sweet Shoppe is just the same as you remember, only a whole lot sweeter. It is a step back in time. The muffins Lindsey’s bakes will make you feel like everything in the world is great with one bite! Large selection, too. Their tag lines is, “Where good friends meet for good food” and it fits for whatever time or meal. Our readers feel the omelets are the best in the region, too. Frequent happy hours, music, excellent wine list and, oh yes, excellent food. A night dining out at Villago is heaven on earth. It gets crowded so go early and enjoy. I will drop by and join you quickly. Testo’s has won for sauce in the past and we can’t imagine why anyone in Troy still makes their own after eating Testo’s. Amazing and available in bottles in locals stores, as well as at the restaurant. Cornell’s Facebook page indicates that there are exciting “things” in the works. I am sure perfecting their already awesome sauce is not one of them. Our readers love it already. Kay’s is a seasonal family restaurant open from early April until mid-October. It is casual and it is a family destination to enjoy the best pizza around the Capital Region. The service is quick and excellent and the pizza, besides being fabulous, is hot out of the oven. A beer garden (biergarten) is an outdoor area in which beer and food are served but our readers love Wolff’s so much they voted it Bestie for pub. It may be time to start a biergarten category just for them! Located in the warehouse district of downtown Albany, The Barrel serves great BBQ with a side dish of great country music. The readers’ poll ”Besties” goes to its St. Louis Style Ribs. Finger licking good does not always apply to chicken! 15 Church is a charmingly restored historic building located in the heart of Saratoga. With a fabulous staff and exciting and creative cuisine, you cannot lose setting your next romantic dinner at 15 Church. A perennial winner for our Bestie readers’ poll, you just have to close your eyes and picture a NYC Deli and open them to find you are at Gershon’s on Union Street in Schenectady. The sandwiches have everything you need in deli delight. One look at the testimonials of the Pellegrino Facebook page, as well as one bite of their sandwiches and subs, will make you realize that they are extraordinary. Great people, great product and three locations to mangia. The food is prepared fresh daily and seasonally motivated according to its website. This along with creativity and skill is why GB 24 is a winner each and every year. Since March of 2012 Slidin’ Dirty has operated a very popular epicurean food truck. Slidin’ Dirty, now in brick and mortar, puts its unique spin on the street food with very gourmet sliders and appetizers. Locally owned scratch bakery serving extraordinary soups along with extraordinary everything else. Bountiful Bread has been a multi-year winner and has won the soup lover’s long standing adoration! An Atomic Chill, a Moscow Mule (I can personally attest to its greatness) and some oldies but goodies like a Lime Rickey, Tom Collins or a Side Car are only some of the specialty cocktails available at The Standard. All good and there isn’t an atmosphere more suited for sipping. Wolf’s 1-11 has awesome food as well as a great draft beer selection. The ownership and staff are all local and committed to serving in the great Capital Region. Fun place on all levels. What else can we say and what else can they win this year? Outstanding in every way and taking it home is completely understandable. You can really “pig out” at home. Delicious and very different—that sets Cella Bistro apart from most. The dining experience is a wonderful event at Cella. You can choose from so many different choices and be happy from start to finish. Twisted Vine Wine & Tap is new but highly desired for the Delmar community. Wines, desserts and small plates can be convenient and delightful there. Excellent service is directly attached to the wait staff. I cannot think of a prouder “Bestie” win for a restaurant than The Barnsider. The experience starts and finishes by the wait staff and at Barnsider, they are accomplished, professional and long term employees. The wait staff at Reel Seafood is attentive to every detail and dining with them is a great experience. Seafood is often a complicated order—so many ways to prepare and options. This wait staff executes quickly and skillfully. Great job, team! The wine choices are so good and coveted that the owners even opened a wine store! Tremendous place where great wine and a comfortable setting make a night out a perfect experience. Go and see what our readers’ poll voters love. Modern Mexican street food is how Ama Cocina describes itself but fun and delicious is how our readers describe it. If you love Mexican food prepared expertly, you need to drop by if you have not already. Peck’s Arcade is new but still racking in honors all over town. Excellent food, fun setting and a novel environment like everything that owners Vic and Heather Christopher design and own. Well done! If American food means excellent steaks and seafood along with great service and crazy good salad bar, then Barnsider certainly is our “Bestie.” Wow—excellence on all levels. Parish Public House is a Louisiana eatery, drinkery and live music venue in the heart of downtown Albany. Po Boys, fried pickles and everything Cajun. What fun. I am not very partial writing about Caribbean food. I love it! It isn’t easy to find great Caribbean food locally and Kenneth’s does it right! What’s the secret to an excellent Chinese restaurant? The sauce! The sauce here is the magic ingredient, which blends the meat, poultry, seafood, or chicken with fresh vegetables to create unique dishes. Each dish is prepared to order. Chez Pierre has become one of the longest family operated restaurants in the area. Long running because the food is just fantastic. If you love French food, make sure you eat the best because, as the French would say, “Why bother otherwise?” This is the best! Would you like a traditional French dish or perhaps something with a twist? Provence is your “Bestie” place for French cuisine. With never ending beer, soccer, a wurst place and schnitzel place, and more, you merely have to close your eyes to imagine Oktoberfest in Germany. 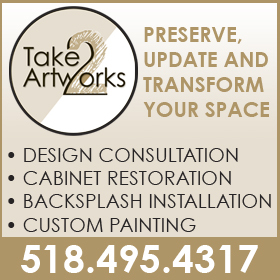 The only difference, it’s here and it’s only a short drive to the Capital Region locations. Athos has won so much this year and we could not be happier about that. The Greek entrees, salads and appetizers are truly the best. With efficient, professional staff and out of this world food, there is little wonder about the number of wins they have garnered. Named for the gourmet trail of the many diverse regions of India. It serves food from as many as six different regions of India and has a team of specialist chefs from India who create the gourmet Indian food that Karavalli is widely recognized for. The awards that they win from our magazine and others are well deserved. There are more accolades for D’Raymonds each year than I can count people on their wait list for dinner. Outstanding and consistent. What more can we add? An evening meal at Koto is so relaxing because the food is prepared expertly, the sushi is fresh and the service is wonderful. If you opt to have Hibachi, well that is another story entirely. Fun and exciting entertainment with the chef of the table performing and the food still excellent. Authentic Lebanese cuisine at Beirut in downtown Troy at a casual home-like environment is only the beginning of reasons why this restaurant is so good. The family-operated tiny restaurant is loaded with culinary talent. This Lebanese food is healthy and wonderful. Outstanding, excellent, brilliant and first-rate! A perennial winner in our “Bestie” poll. From the cocktails to the Mexican standards to the seafood dishes and even the awesome salsa and chips, El Mariachi rocks like no other. Serving lunch and dinner is great but having all the Polish ingredients available to you to make in your own home following your own traditions also sets the Euro Deli apart from other ethnic delis. There is a wonderful selection for your needs or just take home some already prepared wonders and say you made them. A multi-year winner, with hand-made European foods, Muza offers European soups, salads, entrees, and desserts. Pleasing, cozy and the food is perfect every time. There are always traditional house favorites and delicious innovative dishes to enjoy each time you go to Reel Seafood. 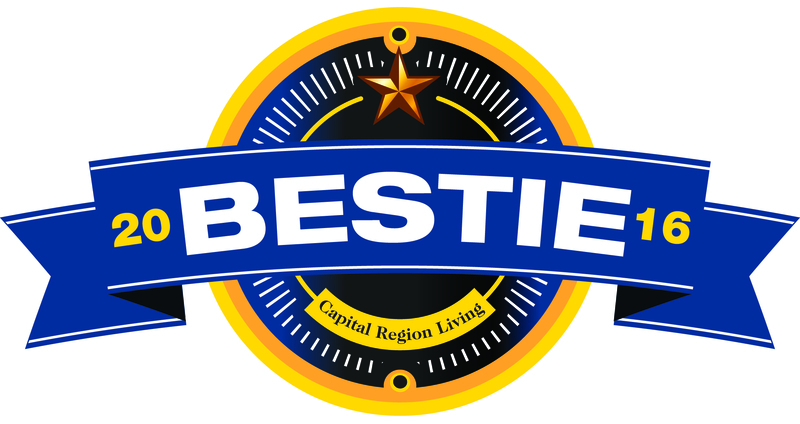 The staff was also honored as a” Bestie” Wait Staff finalist. What are you waiting for? They have already won every year! Carmen’s Café is classified as Caribbean and Spanish but our readers think that their Spanish creations are noteworthy and award winning. Brunch traffic is brisk at Carmen’s Café, too, and one that is a favorite of brunch lovers throughout the Capital Region. Herald the trumpets once again: The Barnsider earned another well deserved win this year. The food is outstanding and the price point is excellent. We love the Barnsider Restaurant. Another perennial winner for all the right reasons, Angelo Mazzone is certainly the restaurant king of the Capital Region with 677 Prime as the crowning jewel in the crown. An independently owned and operated natural foods store and vegetarian cafe since 1988, Four Seasons is known as a place to get something that tastes great but also makes you feel great. Most items sold buffet style by weight. The menu is full of I’d-like-to-try-that selections. Follow our readers, and start selecting! Van’s honors the history of Vietnamese cuisine in its creations, described as flavorful, authentic and wonderfully fresh and tasty, coupled with friendly service. We would add “Bestie” to those accolades. Chef Ric Orlando has mastered the fine art of cooking and presentation of a diverse, intriguing menu that is an area favorite. New World was recently named as one of NY’s Top 13 restaurants by Thrillist—and it is in our backyard. From the bar to table, an experience not to be missed. An extensive gluten-free menu is available as well. Global Cuisine, Local Pride is the motto; our readers would add the “Bestie” in front of each! In a city where the competition in dining is tough, Ca’Mea shines above the others for fine dining and unique Italian cuisine. You won’t find “old Italian food” but rather an inspired, creative twist on the staples of Italian life. Specials come with the season and the wine selection is top-notch! Homemade startling dishes served elegantly. You will want to stay there and eat and eat—and guess what? You can. They have an inn, too. Chef Suhner’s passion for superior quality ingredients and produce, his meticulous preparation, and his ability to capture the taste of the food make for a truly exceptional dining experience. Top that with impeccable service, and you will know why this Greene County restaurant is acclaimed in the community. The brassiere creates exciting dishes that blend tradition and simplicity. For three generations Brook’s has been serving up the best barbecue bar none. Competition has come and gone, and Brook’s continues to be a favorite. The restaurant seats over 300 and is usually packed with fun-loving people in search of great BBQ, fun and more. Worth the trip and certainly worth stopping by any charity BBQ that is offering Brook’s BBQ. Consistently rated 4 to 5 stars, Chez Mike is tucked into a shopping center but once you enter, all thoughts of shopping go away! Each menu item is prepared from scratch and features eclectic American favorites. Chez Mike and Chef Mike have received a number of honors over the past 8 years and you will not be disappointed! Lake Ridge Restaurant has a devoted number of fans who have experienced the food, setting, beverage and service that has made this restaurant a destination from anywhere in the region. Only the freshest ingredients are used and the offerings showcase the chef’s creativity that keeps people coming back to the Lake Ridge elegance and phenomenal food. This restaurant defines Italian food. The recipes have been handed down since 1947 through family and generations and feature old-world preparations and portions that are over-the-top. Staff members always smile and know everyone by name. When it comes to food, they refuse to cut corners! Henry Alteri is the consummate restaurant owner. It is no wonder that Canali’s wins each year and in multiple categories. In addition to a bustling country store, the Apple Barrel lures visitors to its café featuring local favorites, everything homemade, delectable deserts and much, much more. Alfresco dining overlooking the stunning Schoharie Valley! When you walk into this very popular restaurant, you feel like you walked into a 100-year-old Adirondack camp with the aroma from sizzling steaks and other delectable menu items. The menu is extensive, and wait until you see the salad bar—it worth the trip alone for many. Specializing in steaks but serving lunch and dinner also. Eat on North is located in the beautiful and unique Hotel on North. This new operation features American cuisine, locally sourced ingredients and the creativeness of Chef Brian Albany, a James Beard-recognized chef. The bar is popular with an expansive oyster selection and it is casual enough to enjoy at any time while the food is perfect for a special occasions, too. Rouge features French cuisine specially prepared and served in a beautiful setting. A little bistro in Provence would be fun perhaps, but the food would not be any better! Rouge has become a destination in the Berkshires. Special events include wine dinners and cooking classes, in addition to the outstanding cuisine itself. Chef Yono’s signature blend of new American cuisine with Indonesian spices creates a dining experience that is unique and totally awesome. If you have not been to Yono’s (and I hope that is very few of you), you need to go. If personality and creativity and talent could rule the culinary world, go and meet King Yono Purnomo. A family restaurant in Ballston Spa that has it all—certified gluten-free, farm-to-table dining and a commitment to the community of Ballston Spa. It is not a wonder that Fifty South is growing in reputation and stature in the Capital Region. Stopping at Ferretti’s or just taking out is one of Clifton Park’s favorite go-to place that is known for pizza but also well regarded for veal, shrimp and pasta dishes. In a big and busy area like Clifton Park, family-owned Ferretti’s shines through the chains and larger restaurants. We are running out things to say about the multi-time, multi category winner, D’Raymonds. Consistent, excellent and a true leader in our area. Bravo to our friends at D’Raymonds. Classic bistro cuisine shines through. The pomme frites are to “die for” and any dish you select to go with your pomme frites will be outstanding every time. I love this place and find it so understandable that our readers love Chez Mike, too. Each night, diners are treated to specials that are out of this world, but it is so hard to give up Chez Mike’s tried and true dishes. Such a wonderful dilemma to have! Greek food done better than anything you can eat in Greece. The service is wonderful, the options are limitless and prepared perfectly every time. I could recommend my favorites there but I would just end up reciting the entire menu! The family-run and operated Century House is indispensable here in the Capital Region. They throw outrageous parties and celebrations, the food in the restaurant is consistently awesome and the atmosphere still remains cozy. How does that happen? With a management team that knows how to bring it all together. They also give away hundreds of thousands of meals through their own Enjoy One, Share One program that owner Colin Demers designed for the benefit of the Regional Food Bank of Northeastern New York. Another multi-time, multi category winner that just needs to be tried to be believed. The meatballs are always the “ Bestie.” The sauce is to “die for” and the meat dishes just make you wish you could eat this food every day. With a winning formula for success and the staff to execute it all, 15 Church shines in a town where good food reigns supreme. They have a great patio with a special patio menu, fantastic dining room and even a happy hour with an outstanding spirit and wine collection. Run to 15 Church and tell them “Vikki” sent you. Food, family, fun is Johnny’s tag line and what you expect from the Mallozzi family. The reviews are always stellar and Schenectady should be proud of Johnny’s and this family. Angelo’s Tavolo, located in the remarkable Glen Sanders Mansion in Scotia, offers fine dining with a modern Italian theme. Angelo Mazzone’s dining dynasty is captured here for all the right resolve in dining excellence. A trip to Glen Sanders will bring you back to dining the way it is meant to be—relaxed, creative and great tasting. Located in the historic, four-story Clark House building in Troy and next to the dynamic owners’ Lucas Confectionery, Peck’s serves up outstanding food to celebrate life. More than a tavern yet not a stuffy environment, Peck’s combines authenticity with eclectic everything. Everyone has a place that they head to because they know they will always get great food and they are just comfortable in the setting. For many, that place is Towne Tavern. Outstanding staff and comfort food that will blow your mind. The ribs and chicken wings are wonderful and that is only part of the success because it is all consistently great.